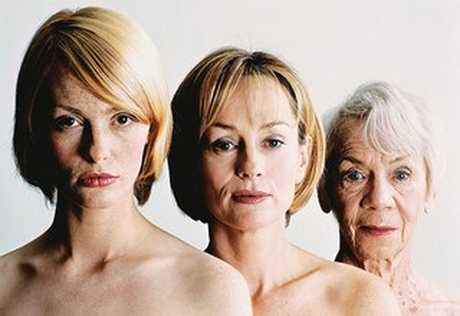 If you’re at least 55, you’ve already lived through a minimum of two life stages with the disease: Youth, menopause, and that long phase called middle-age in which you still might dwell. If you’ve experienced all three and you’re not drooling in a corner of a psych ward by now, then you’ve been both lucky and resilient, a real trooper. You’ve made it to middle-age relatively unscathed. You have both life experience and disease experience, and you probably take both in stride more now than ever before. But what about the future? What about the golden years and MS? But suppose you are borderline geriatric—or firmly planted in it. The symptoms of aging and of MS can be very similar, generating a great deal of uncertainty. Many of we older folk have stopped worrying over what is causing what and focus instead on how to treat the symptom. Getting clear on what is most important and then putting one’s focus on that is not only a product of wisdom and experience, it is also a necessity. Who over the age of 50 has the energy or desire to sustain a high note of anxiety? That’s not just about having MS. In fact, older adults in the non-MS general population tend to have a better handle on what is most important for quality of life, too. Multiple sclerosis or no, we all hit 50 and grow weary of expending energy on living up to others’ expectations, conforming, and generally engaging in petty nonsense. As we will see in the study on aging with MS examined below, there are actually some benefits to being older with MS compared to the younger MS cohort. It bears mentioning that those surpluses mirror study results on aging in the general population. Older people with MS have reported that they have quality of life, mental health, and general good health that qualitative studies have found to be equal to or better than those of younger MS patients–this despite being more physically disabled than their younger counterparts. They have acquired strategies and resources that enable them to be happier with the simple things in life, and therefore better adapted to managing the challenges of living on a lower income. Without the pressures of work and child-rearing, their days in general are less stressful. But older MS patients also face issues unique to their stage of life. They require more home care than younger patients, which is mostly handled by spouses and family members. In some cases, the patient herself is caregiver to a disabled spouse. Home care is often too expensive to utilize, putting more strain on everyone concerned. An older MS patient has slightly different needs than their frail elderly counterparts. Services like respite care and adult day care are mostly populated by the elderly who have significant cognitive issues. Older MS patients generally have more mobility issues. What’s more, people with MS who are deemed “young-old” and who occupy nursing homes are generally younger, more alert, more depressed, and have longer lengths of stay than the typical nursing home patient without MS. Staff are not usually trained to meet the needs of the MS patient, which might involve more interaction with younger patients and stimulating activities. Health professionals should help their older MS patients address end-of-life issues and advance directives. The professional will better serve the patient by enlisting an integrative group of health care providers to help the patient navigate these complex decisions. Though many of older MS patients’ needs are the same as younger patients, resources available to both don’t adequately address the differences. Support groups, marketing campaigns and doctor care are mostly geared toward the young. A 2012 census report projected that by 2050, people over the age of 65 will make up 20 percent of the US population, which will swell from the present 314,000,000 to an estimated 400,000,000. Senior citizens presently make up 13 percent of the population. The above material is just a small part of a longer, more comprehensive article on aging and MS. I strongly recommend that you read the complete article, listed in the reference section below.